IT WAS A THRILLING EVENING SHARING THIS WIN WITH OUR CLIENT. RECOGNITION FROM PM360 FURTHER PROVES OUR DEDICATION TO BE BEST IN CLASS WHEN BUILDING BRANDS WITH BOLD AND EVOCATIVE CREATIVE. NEW YORK, NY. 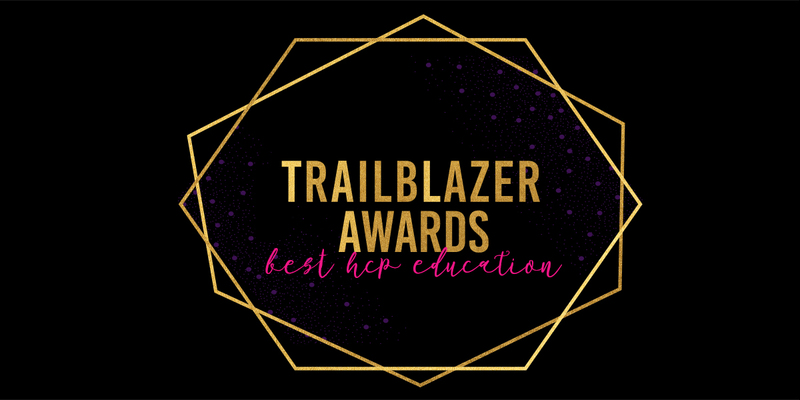 – Xavier Creative House in partnership with Confideo Labs, announced today that TREMFYA Mixed-Media VR Episodes – LIVE IN MY SKIN (Janssen Pharmaceuticals) has won the PM360 Trailblazer Awards for BEST HCP EDUCATION. PM360, a leading health marketing industry trade magazine, recognized the best innovators in the pharmaceutical, medical device, diagnostics, and biotech industries with their 10th annual Trailblazer Awards Gala. The honors, bestowed at a gala banquet at Gotham Hall in Manhattan, are given to outstanding companies, marketers, brand managers, and innovative initiatives. The Trailblazer Awards represent the journal’s targeted and insightful editorial focus on issues that directly impact critical decision making, including: Planning and implementation of cutting-edge strategies, trends, the latest technological advances, branding/marketing, advertising/promotion, patient/professional education, sales, market research, PR, and leadership. About Xavier Creative House (XCH): A healthcare creative agency specializing in Pharmaceutical, Medical Device, Biotech, Medical Technology and Hospital Systems with end-to-end creative solutions employing a distinctive, agile business model accessing a global talent pool of healthcare marketing expertise. At XCH, we provide bold and evocative designs paired with meaningful technologies. Please contact Sunny Beth White for inquiries: swhite@xaviercreative.com or call 215.583.2323. Confideo Labs, a division of Confideo, LLC, is an award-winning digital media firm specializing in the design, development, and deployment of immersive multimedia tactics and strategies for healthcare. The company has established advanced virtual, mixed and augmented reality technology platforms and offers a comprehensive suite of proprietary turnkey services including strategy, design, development, videography, fulfillment, tech support, and advanced analytics that combine to optimize storytelling across channels, and better engage and educate healthcare stakeholders.